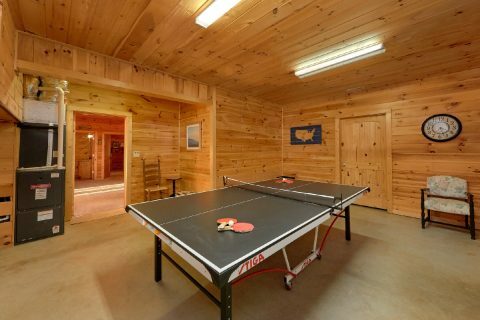 Ready for a Smoky Mountain vacation complete with fun games like ping pong and skee ball? 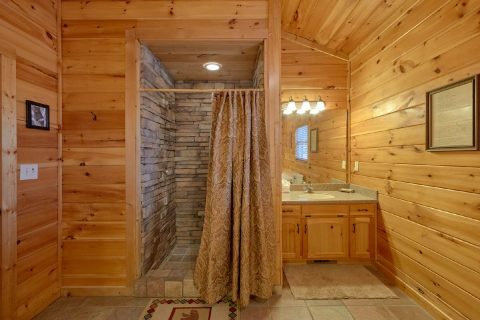 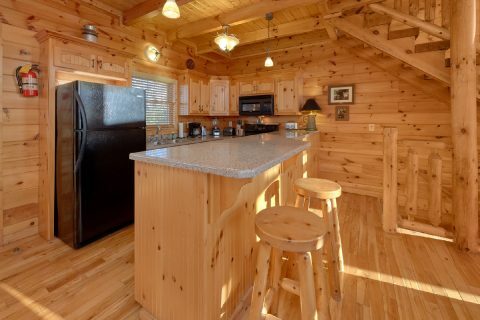 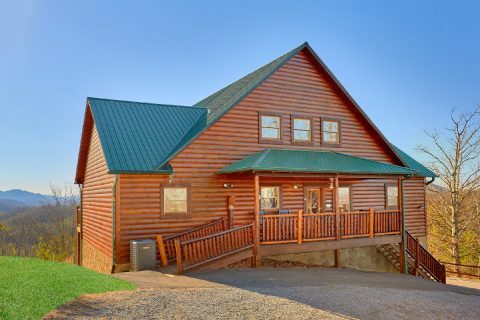 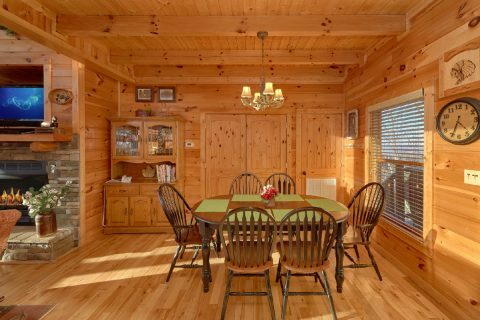 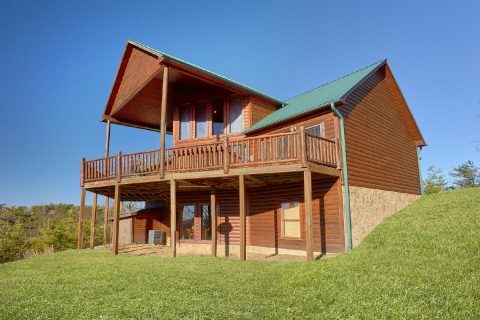 Simply book "Cherokee Hilltop," an excellent 3 bedroom cabin rental located just outside of Pigeon Forge in the Smoky Mountains of Tennessee! 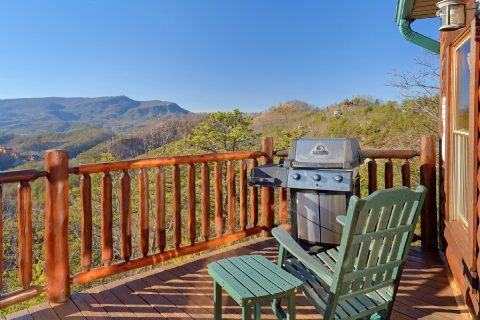 Not only does this rental come complete with a pool table, skee ball, dart board, and a ping-pong table, but it also boasts a prime location that's only minutes from exciting attractions in Pigeon Forge. 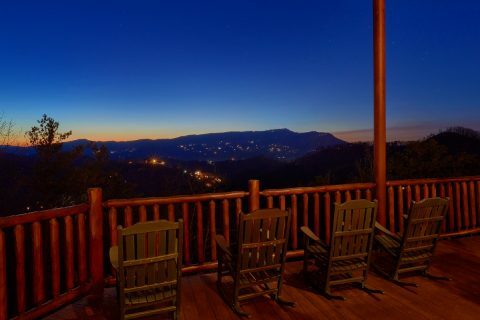 As a result, guests can easily enjoy great local attractions like Dollywood and the Historic Old Mill on the Parkway and they can also enjoy quick access to nearby Gatlinburg and the Great Smoky Mountains National Park. 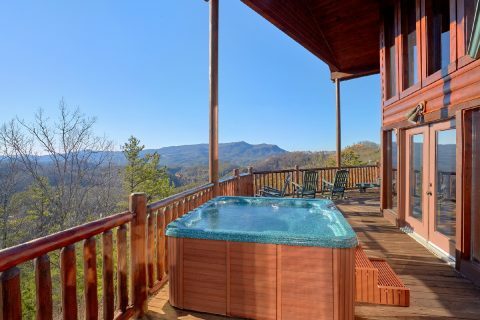 When you aren't busy exploring the best the Smokies have to offer, you'll love unwinding at your cabin in the mountains. 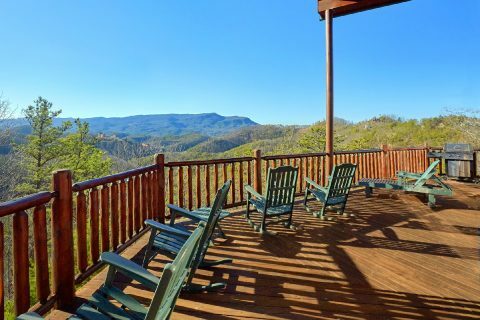 From this cabin's deck, you'll enjoy a nice view and the fresh mountain air. 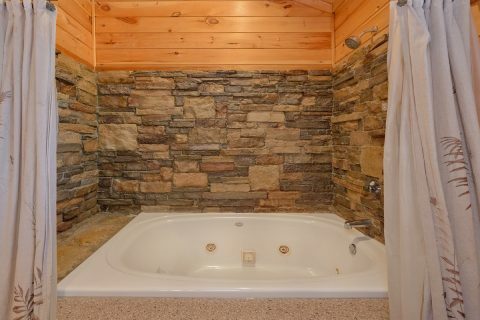 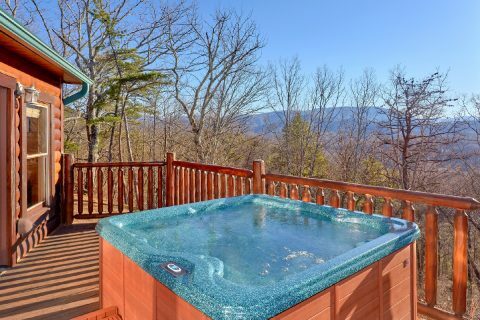 This pleasant scenery is even better when you take in the view from the hot tub on your cabin's back deck. 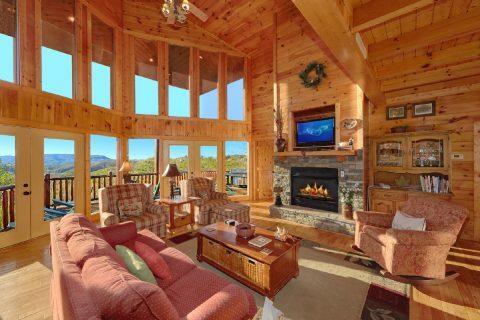 From inside the main living area, you can enjoy your cabin's lovely location through large picture windows that let in plenty of natural light. 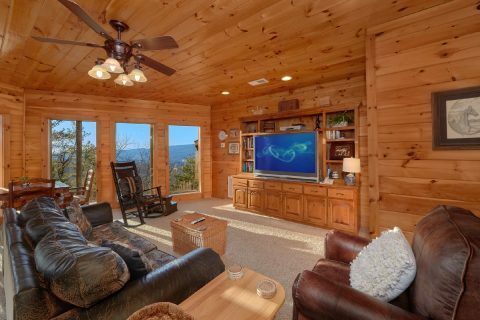 This room also provides a stacked-stone gas fireplace and a television that's perfect for enjoying a relaxing movie night in the comfort of your rental. 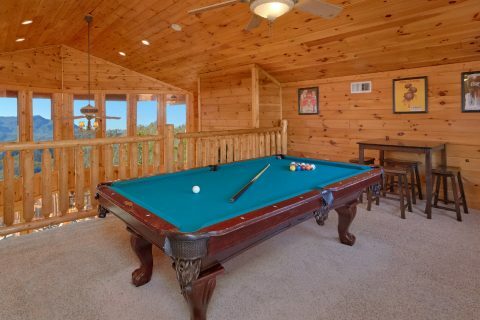 Even more fun awaits in your cabin's lofted game area that comes complete with a pool table. 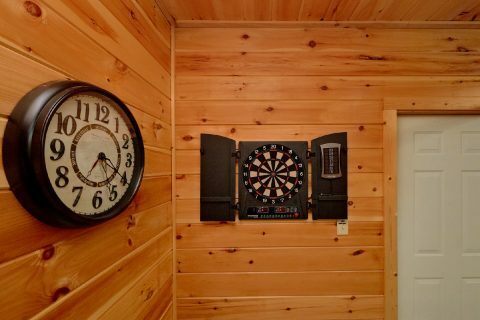 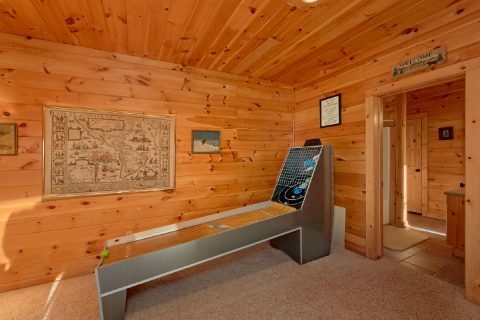 Better yet, this cabin offers another game area in the lower level that features a ping pong table, skee ball game, and a dart board, so you can enjoy hours of entertainment without even leaving your cabin. 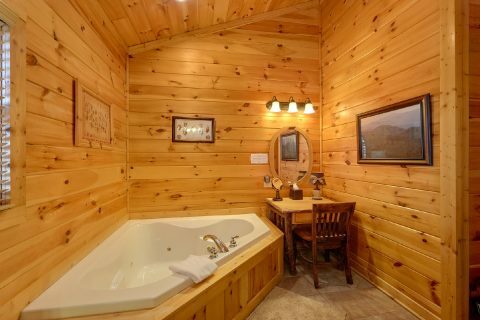 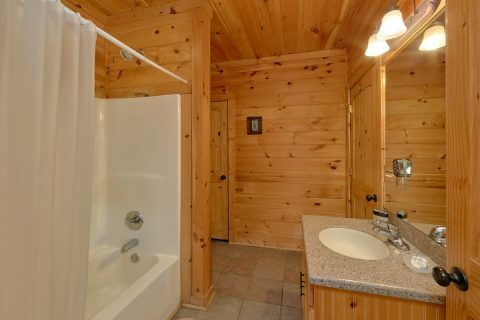 For some relaxation, you can always enjoy a soothing dip in the outdoor hot tub, or you can take a relaxing bath in the warm waters of your cabin's indoor jacuzzi tubs. 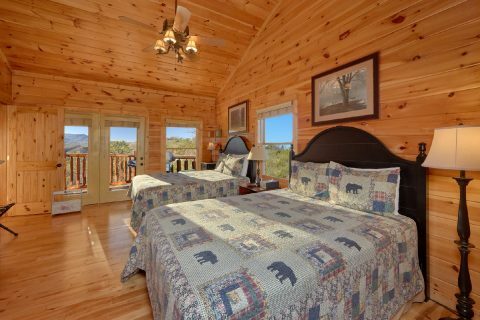 Once you're ready to get some rest before your next day's adventures, you can look forward to staying in one of this rental's 3 bedrooms. 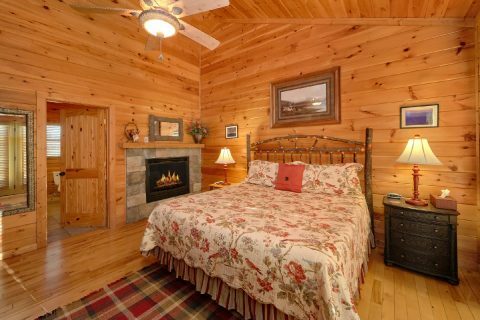 On the main floor, you'll find a king-sized bedroom and another bedroom with two queen beds. 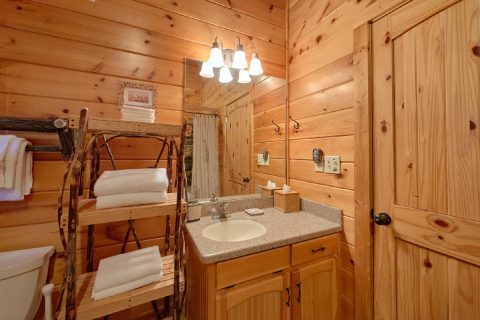 On the lower level, there's another bedroom with two bunk beds. 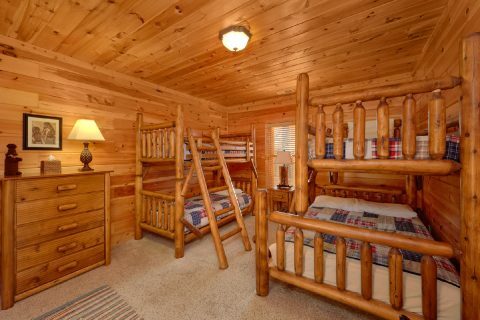 One of these bunk beds has two twin beds, while the other bunk bed has a twin over a full bed. 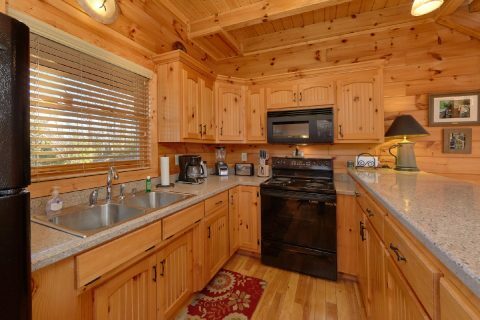 Your cabin also comes complete with practical features like WiFi Internet and a full kitchen, so you can prepare delicious cost-effective meals in the comfort of your retreat in the mountains. 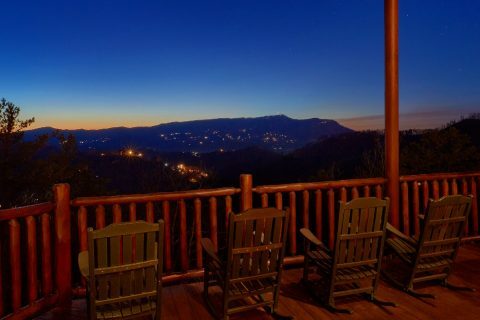 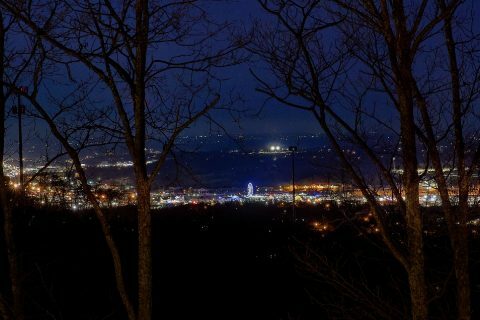 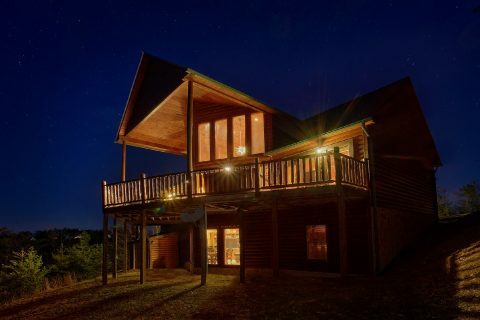 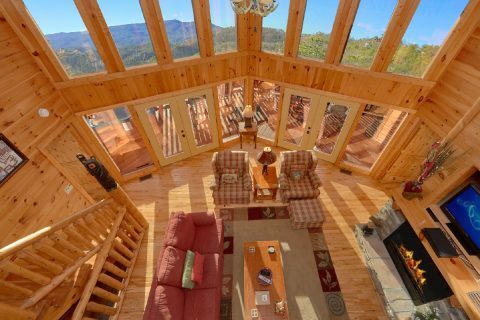 Book "Cherokee Hilltop" today with Cabins USA Gatlinburg to save 15% on your nightly rate in the Smokies!